Blue Door Consulting consists of talented, creative individuals with unique lives and personalities. Our team works flexible schedules in order to maintain work-life balance while giving the best to our clients. Let’s take a look at some of our employees and how they use flexible schedules to create work-life balance. 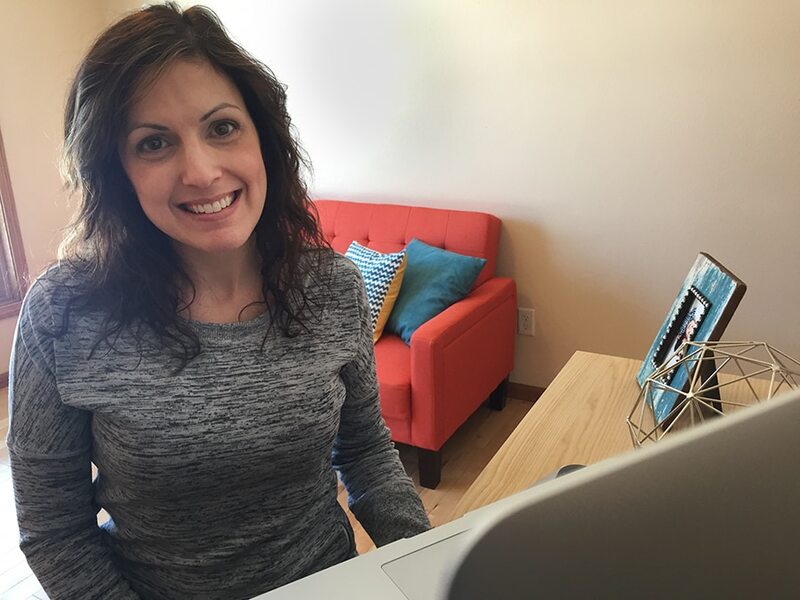 Leah Van Rooy is a marketing consultant at Blue Door Consulting. Leah began working at a marketing agency in Appleton right out of college, and has been working with us for 5 years. 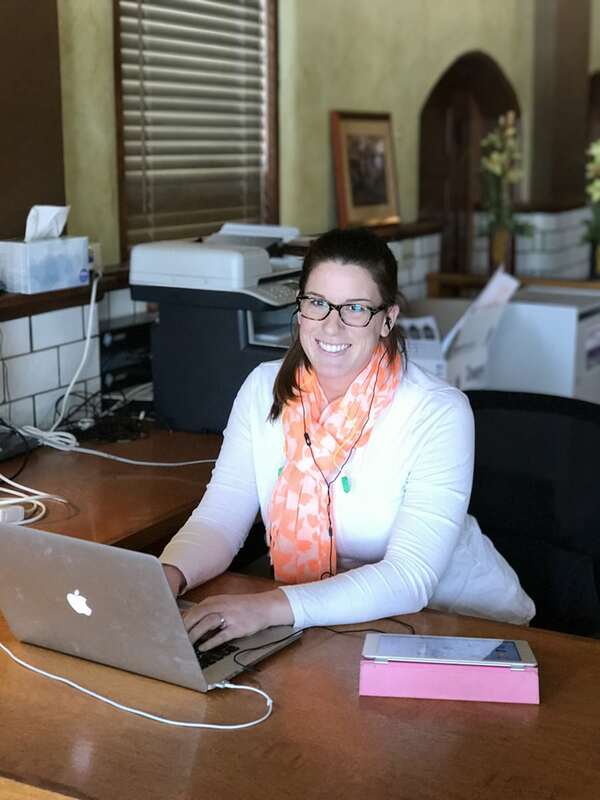 Leah started with Blue Door Consulting as a full-time consultant, and has since moved to part-time to spend two days of the week off with her son. Leah’s top tip for maintaining work-life balance is to keep email off of your phone. She does this to create hard boundaries and fully unplug when spending time with her family. She says that Blue Door Consulting’s ability to utilize technology and tools allows her to be flexible with when and where she works. Cathy says that work-life balance ‘is a misnomer.’ The quote that she uses to explain her passion for her work comes from Alain de Botton, ‘There is no such thing as work-life balance. Everything worth fighting for unbalances your life.’ Cathy says that working at Blue Door Consulting allows her to be unbalanced in both her personal and work life when needed. She attributes her flexibility to the ability to carry her work with her and set up office anywhere, whether it is a coffee shop, a road trip or the Blue Door Consulting office. Alyssa is a new addition to the Blue Door Consulting clan. Previously, Alyssa worked as a graphic designer at an agency in Fond du Lac for 5 years. Alyssa joined Blue Door Consulting because she is ‘knowledge-hungry’ and wants to continue to challenge herself and grow as a designer. 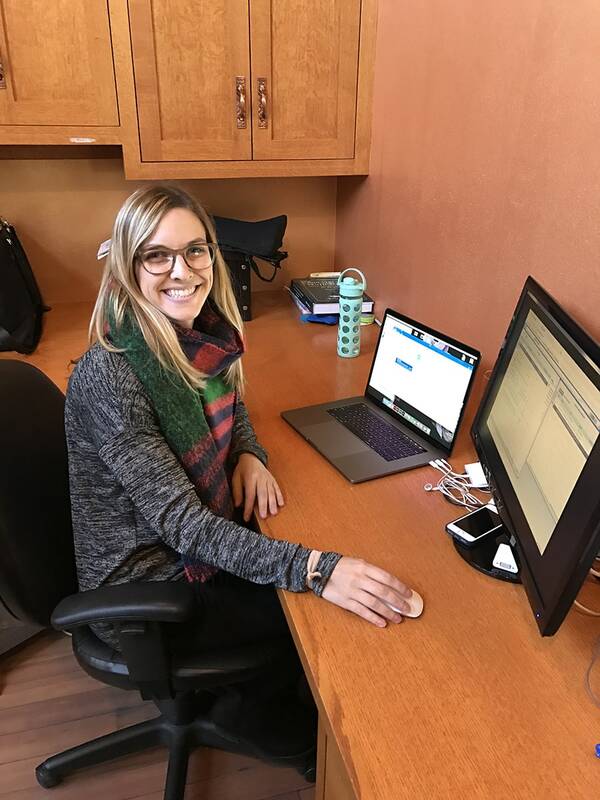 Alyssa has been with Blue Door Consulting for 3 months and is still adapting to her new flexible schedule and figuring out the best way to balance her personal life with work. She says that the option to work remote helps, allowing her to stay at home and maximize her time when needed. 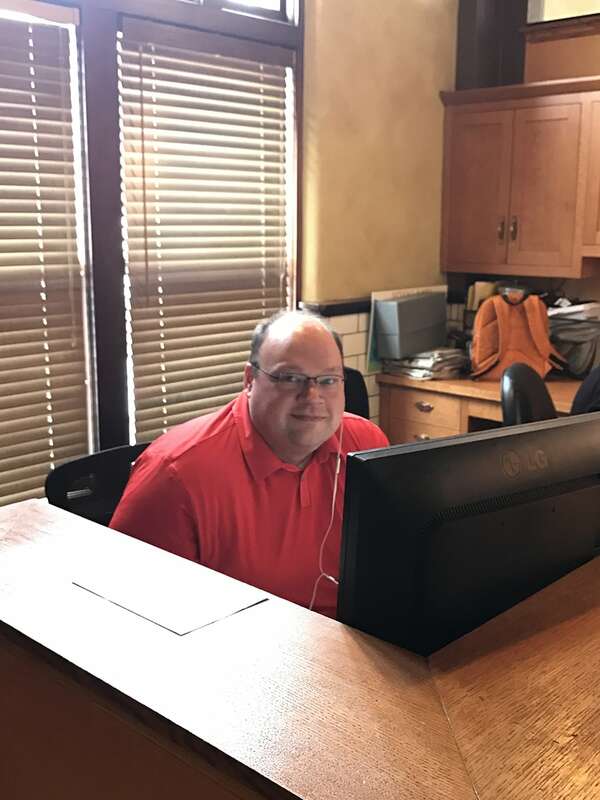 Mark Cyrulik, our leading web developer, has been with Blue Door Consulting just under 5 years. Mark formerly worked at a pre-press company building websites for tracking customer orders. He joined our team after attending several gatherings with Blue Door Consulting team members, and realizing the group was hard working yet knew how to have a good time. Mark says that the best way to maintain a work-life balance is to ‘set boundaries and be a little stubborn.’ He attributes the variety of sites and the flexibility in those sites to force him to have an open-mind about the way he works. 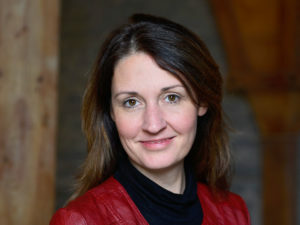 Ann Timms is a marketing consultant that has been with us for 5 years. 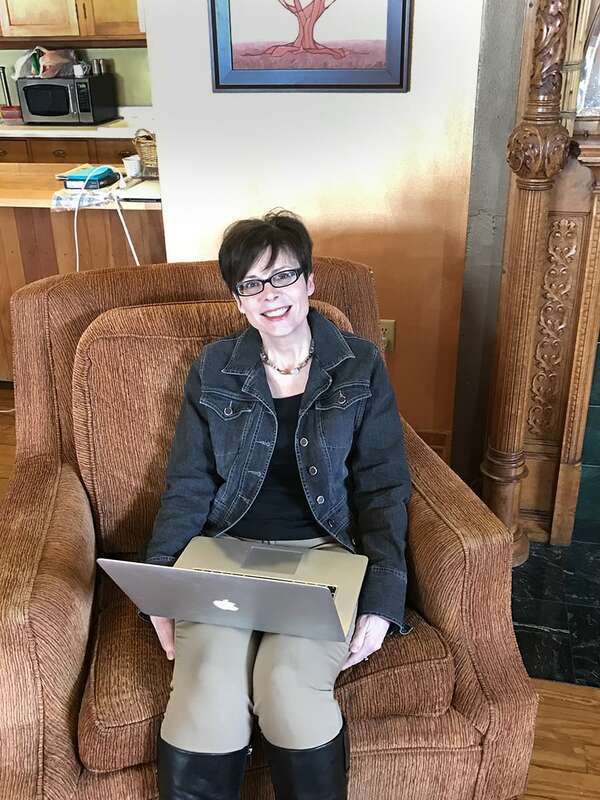 Prior to joining our team, Ann was a stay-at-home mom for three years and worked in marketing for a local manufacturer and financial institution. Work-life balance is very important for Ann as a mother of two young boys. To maintain balance, she recommends putting down the phone, laptop and tablet to unplug and enjoy the moment. She says communication is also crucial for maintaining work-life balance. Letting your team know your schedule and how to contact you is important for working flexible hours. Does the idea of working a flexible schedule with a hard-working team appeal to you? Seize the day and share the love by reading our available job descriptions!